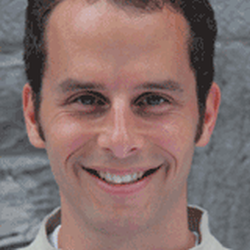 Shai Plonski is a co-founder of the Still Light Centre in Toronto, and a skilled trainer of Thai Massage. In this episode of A Congruent Life, Shai discusses wanting to work with his hands, what he learned from working on a carnival boardwalk, his journey to discover Thai massage, the profound meaning of “meta” in his life, and the remarkable power of compassionate touch. This entry was posted in Podcast on October 2, 2013 by Andy Gray.